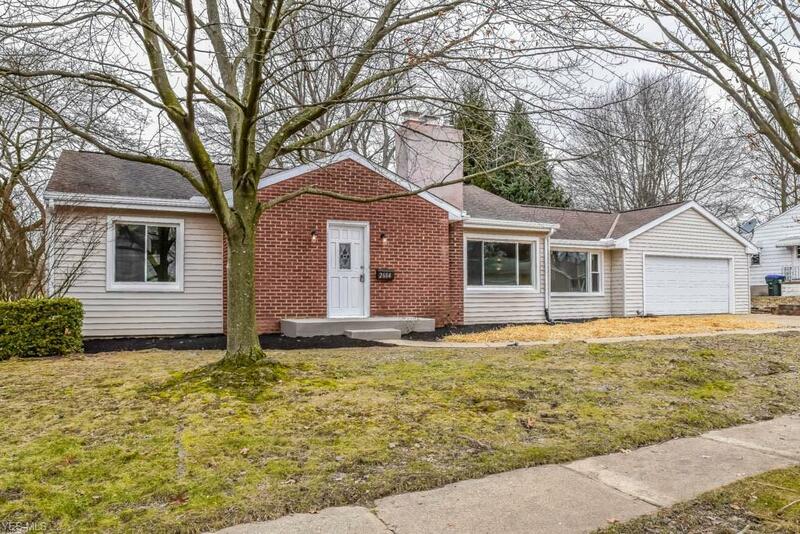 Beautifully remodeled 2 bedroom, 2 full bath ranch with a finished lower level! 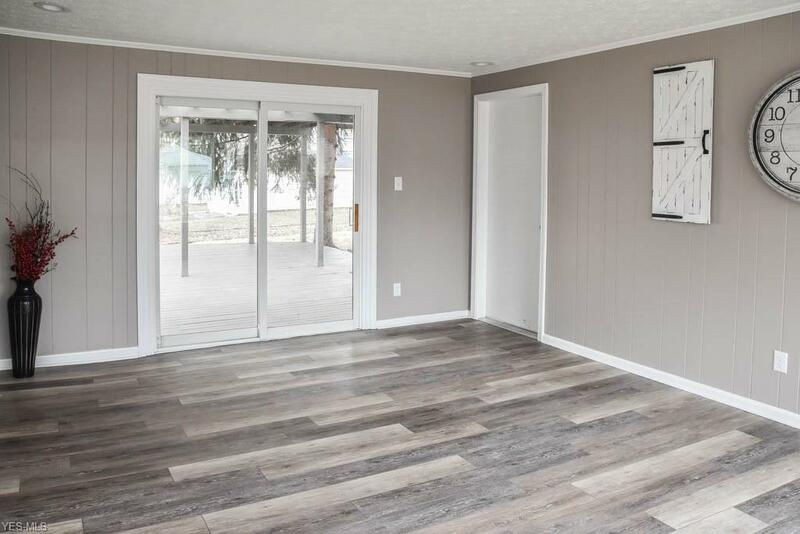 New flooring, fresh paint, new windows, newer furnace and A/C! This home has large picture windows in the living room, dinette and family room to generously fill the space with natural light. 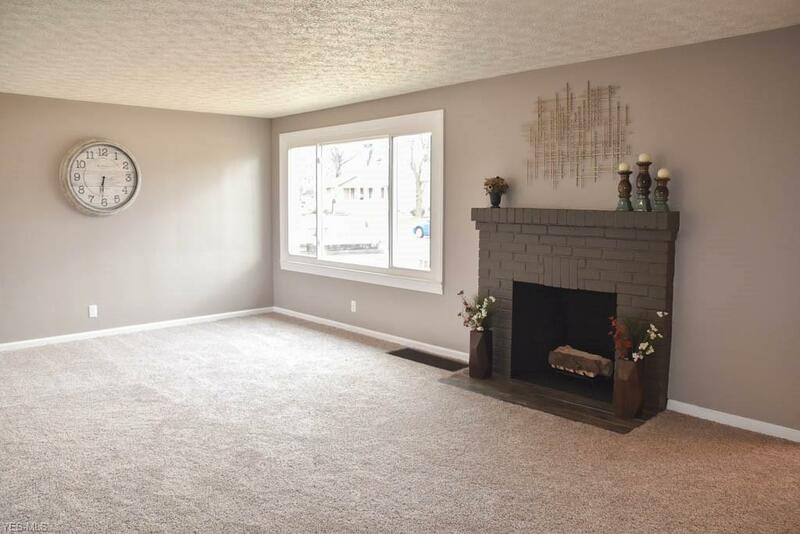 The spacious living room boasts a lovely brick fireplace while the huge family room offers sliding doors to the back deck. 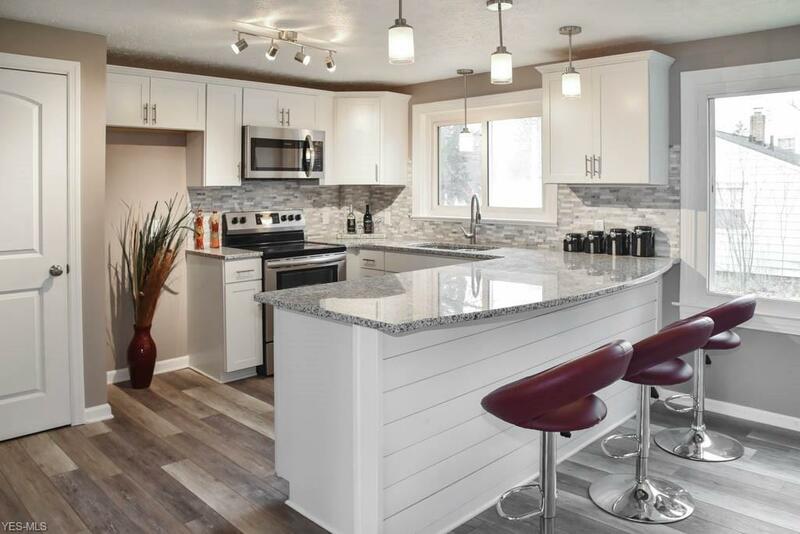 Find your culinary inspiration in this stunning kitchen with new white cabinets, granite countertops, stainless steel appliances, tile backsplash, a pantry, a breakfast bar and dinette. Down the hall, there are 2 bedrooms, a full bath and a deep closet with shelving. Bedroom 1 has 2 closets. The main full bath is gorgeous with a deep tub, new vanity and shiplap wall. Extra living space on the finished lower level with a rec room, possible third bedroom and a full bath with walk-in shower and modern vanity. Plus tons of storage! 2-car attached garage, too. Situated on a double corner lot with a massive back deck and pergola! Super clean, move-in ready home with neutral colors. Dont miss out!